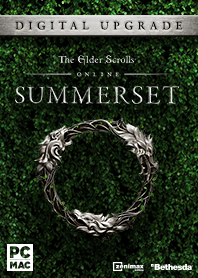 Journey to the home of the High Elves in The Elder Scrolls Online: Summerset. 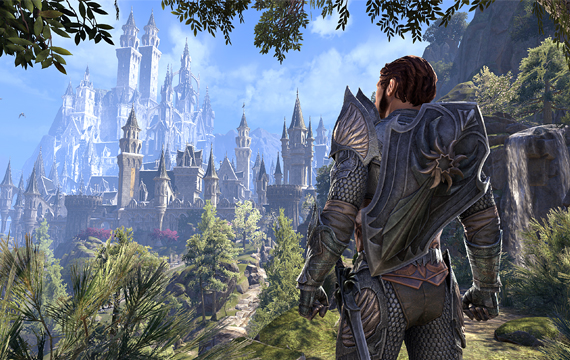 Experience an epic story in an awe-inspiring zone, unlock a unique Skill Line of abilities, and join the secretive Psijic Order on a mission to save the world from destruction. JOURNEY TO SUMMERSET – For the first time in history, the home of the High Elves opens its borders to foreign visitors. Travel to Summerset and unravel a dark conspiracy that threatens the world's very existence. CONTINUE YOUR ADVENTURE – Rejoin old friends, forge new alliances, and unravel a dark conspiracy that threatens the world's very existence. JOIN THE PSIJIC ORDER – Travel to the island of Artaeum, seek the aid of this mysterious group of mages, and unlock a new skill line of powerful combat abilities. EXPANDED CRAFTING SYSTEM – Forge potent new gear with Jewelry Crafting and bolster your power. You'll need every advantage to succeed on your quest. EXPERIENCE A NEW TRIAL – Gather your allies and take on a challenging new 12-player Trial, Cloudrest, and face the Welkynar and their powerful gryphon companions. GROUP UP FOR NEW CHALLENGES – Experience a world of adventure on the island of Summerset with unique World Bosses, delves, public dungeons, and all-new Abyssal Geysers.